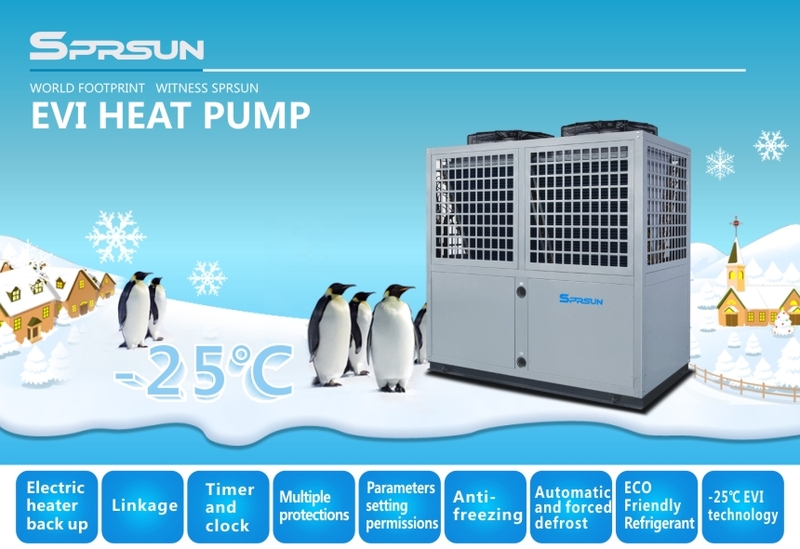 in cold climate where lowest air temperature is above -25℃. 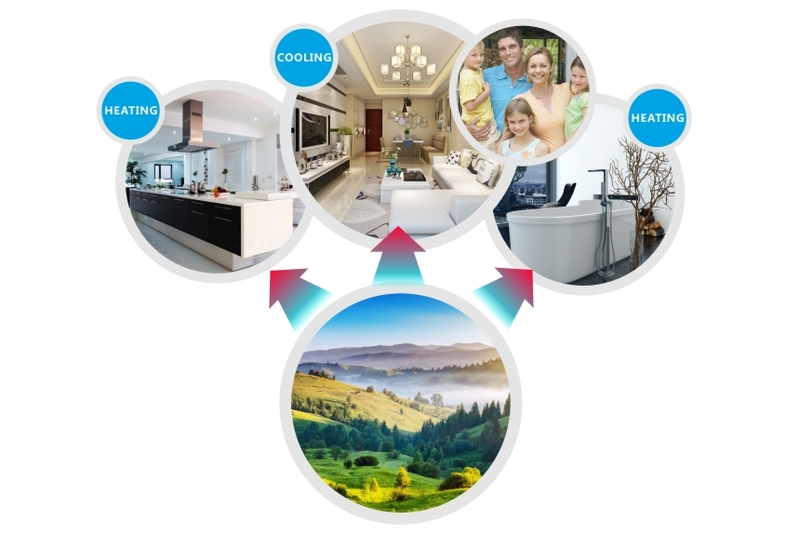 EVI air source heat pumps are designed for house heating and cooling. 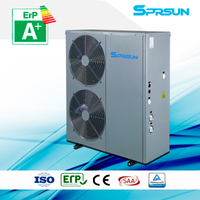 User can change the working mode by operating the wired panel of the controller. 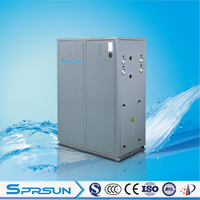 Compressor starts/stops according to return water temperature. 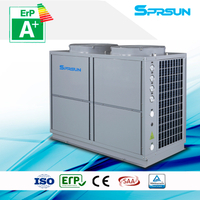 When all rooms reach preset temperature by room thermostat, the heat pump will be turned off through linkage switch. 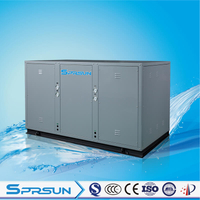 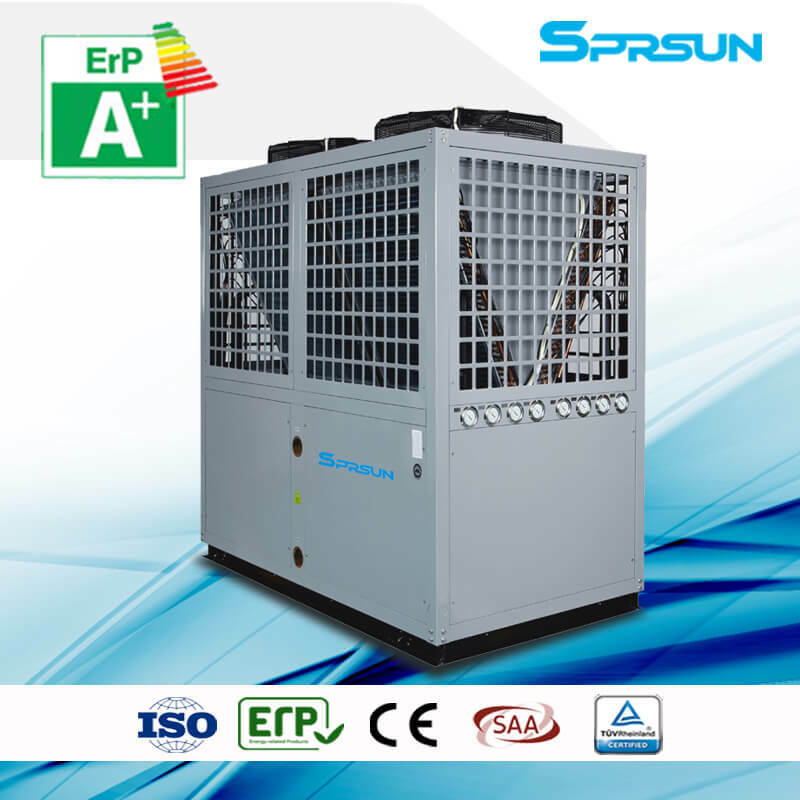 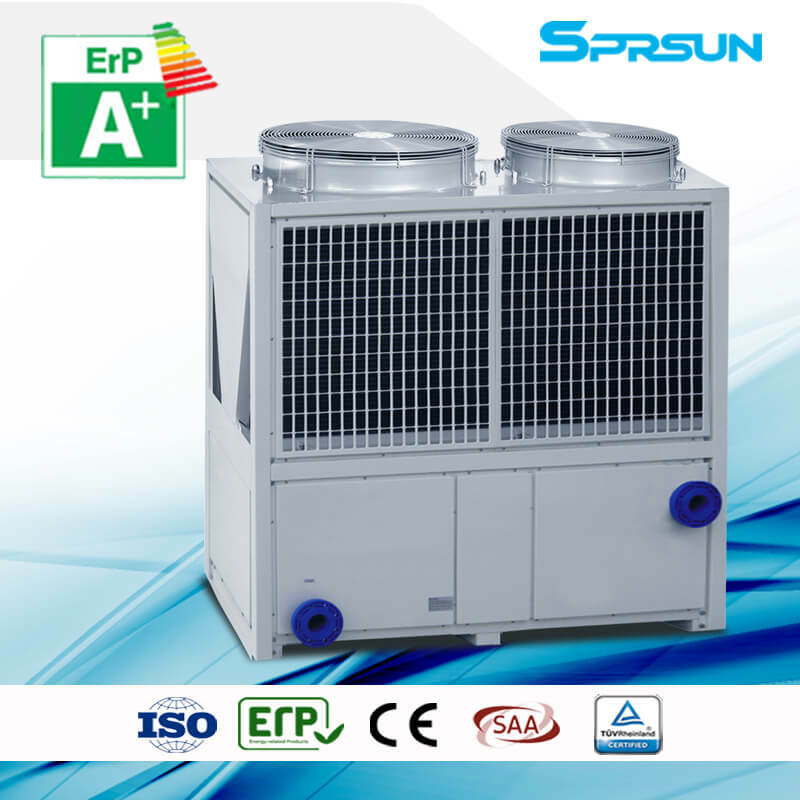 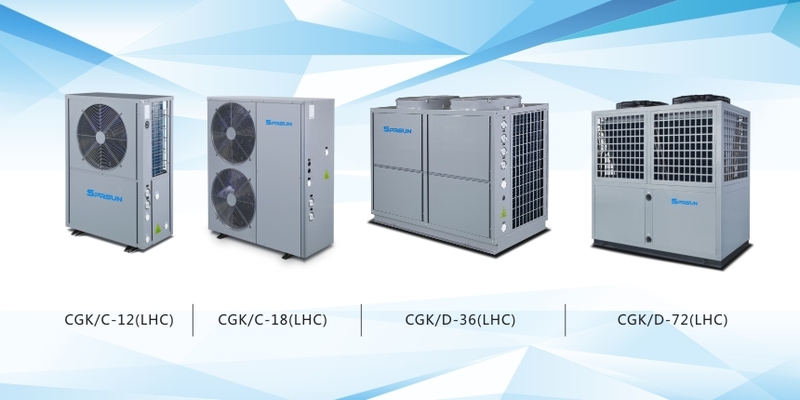 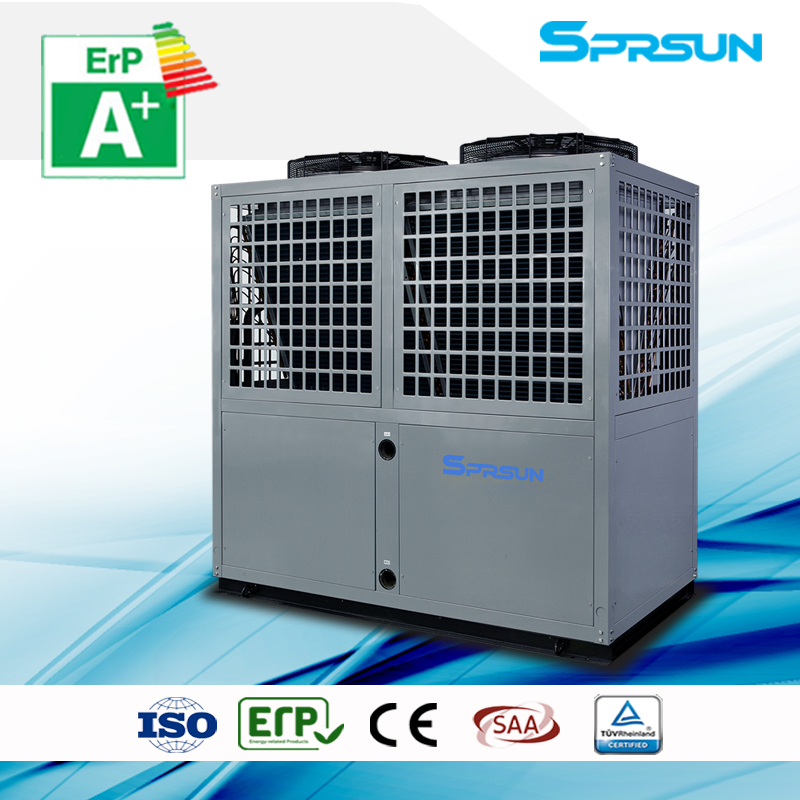 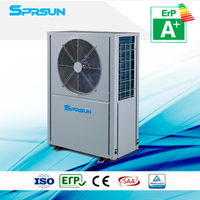 Wide Range of Applications: these EVI low temperature heat pumps could meet the heating and cooling requirements of different places, such as villas, houses, schools, factories, hotels, hospitals, spa centers, sauna centers, greenhouses, flower gardens, farms, etc. 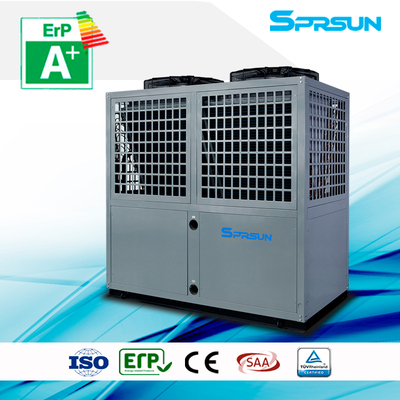 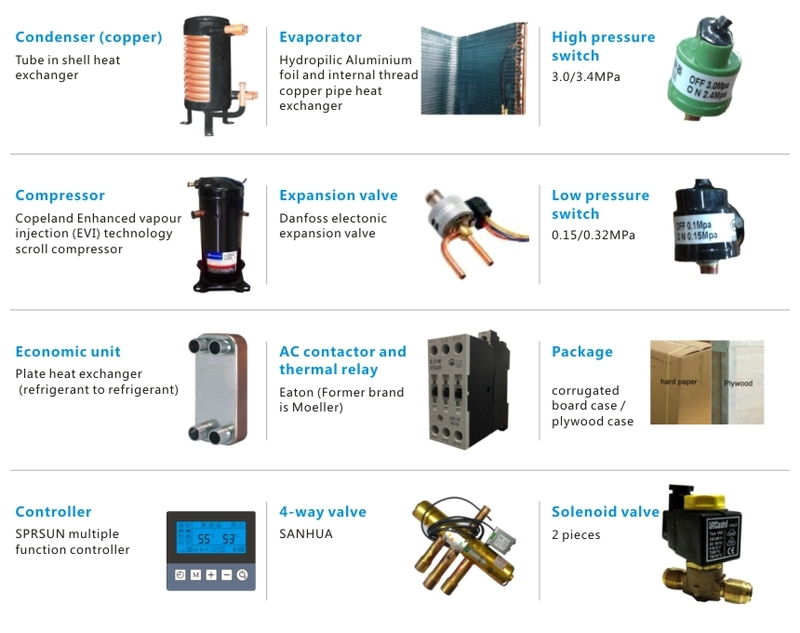 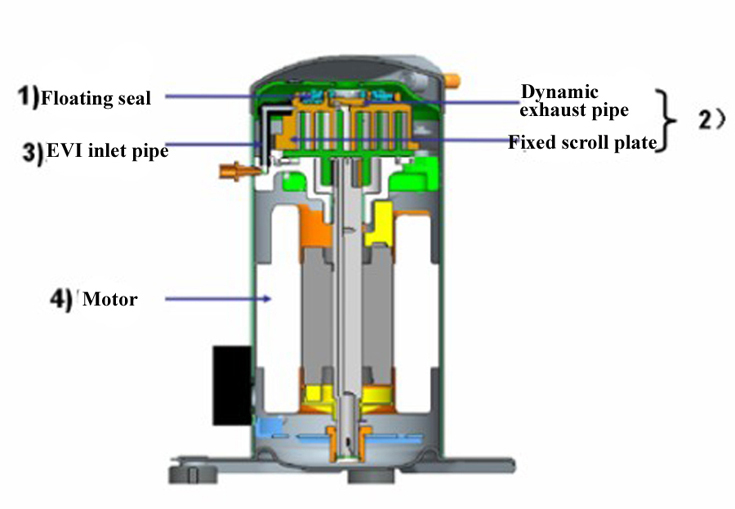 Our EVI air to water heat pumps adopt high quality components, such as Copeland enhanced vapour injection (EVI) technology compressor, Danfoss electronic expansion valve and Eaton AC contactor and thermal relay. 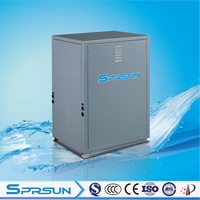 Cooling: air temp (DB/WB): 35℃/24℃, water temp(inlet/outlet): 12℃/7℃.